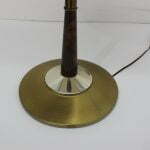 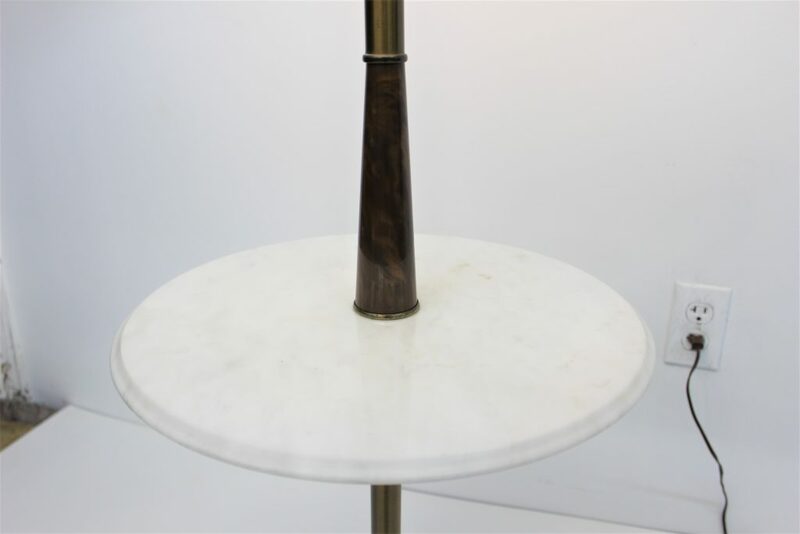 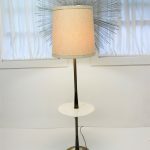 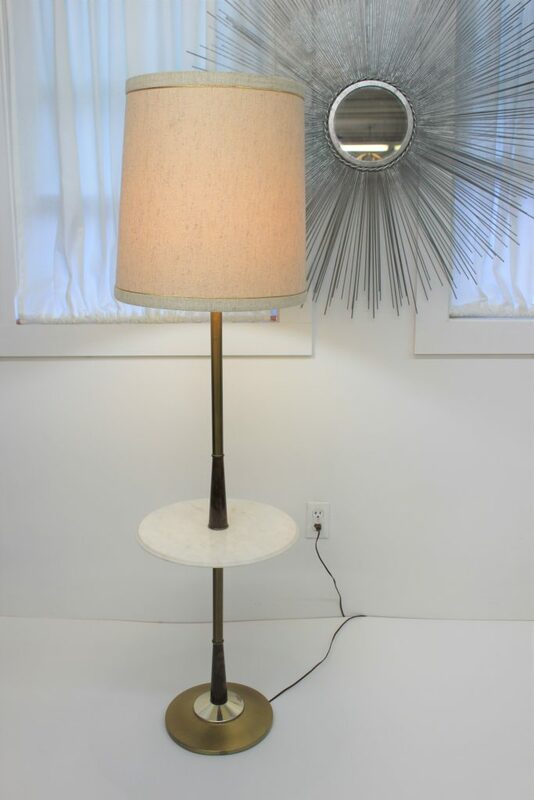 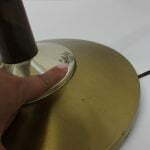 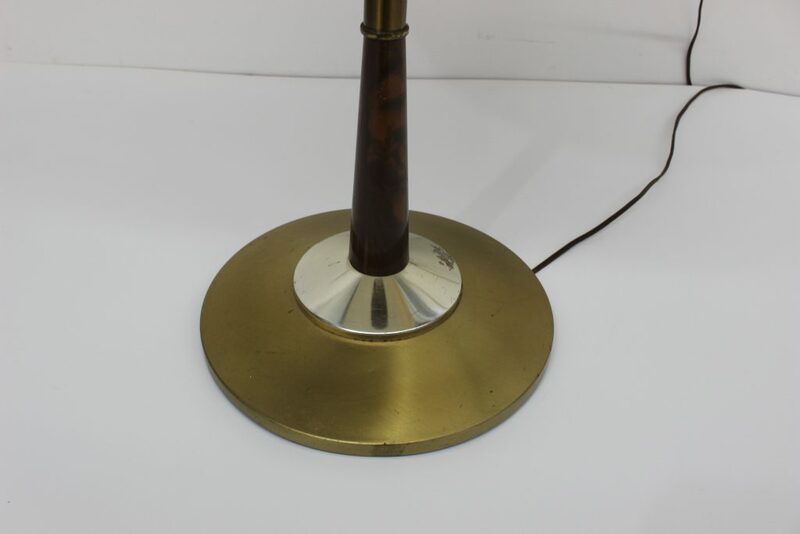 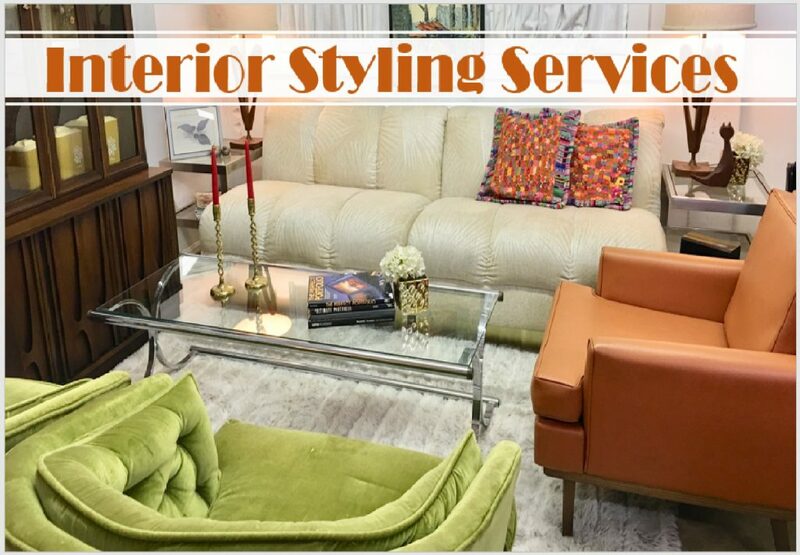 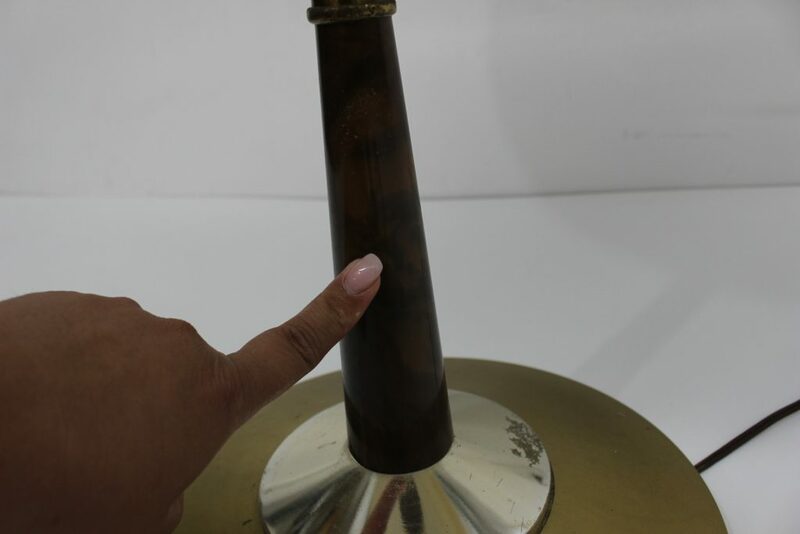 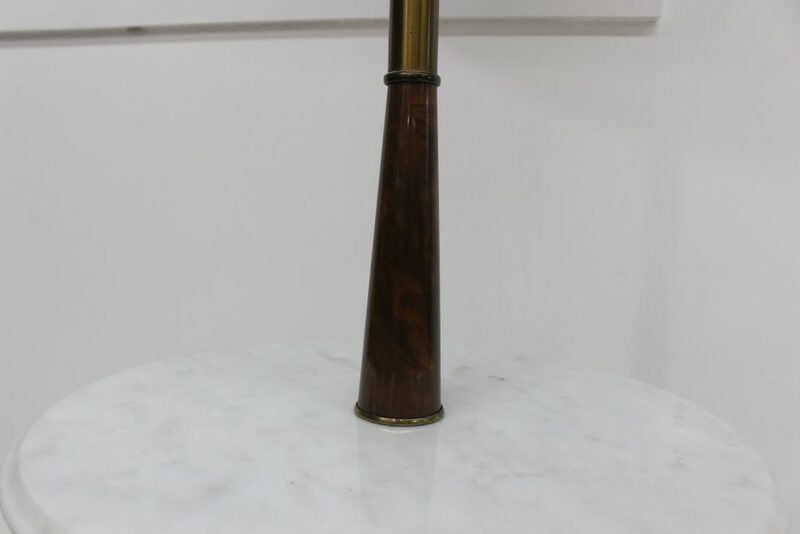 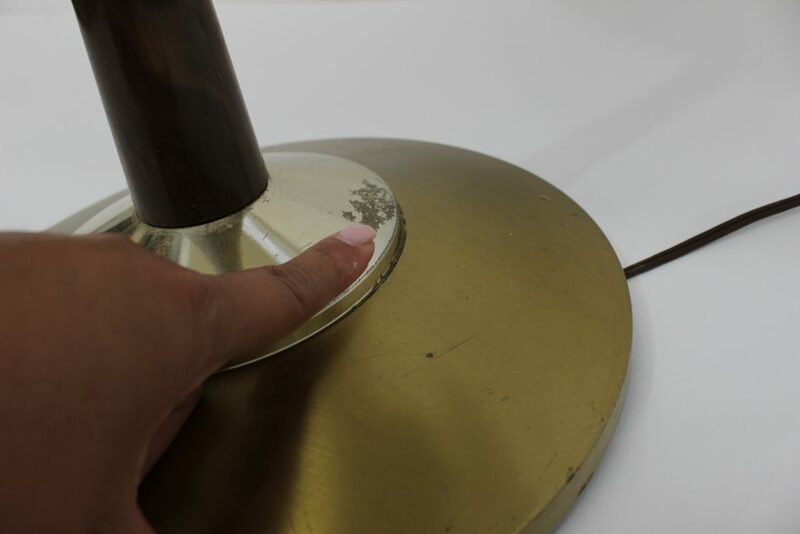 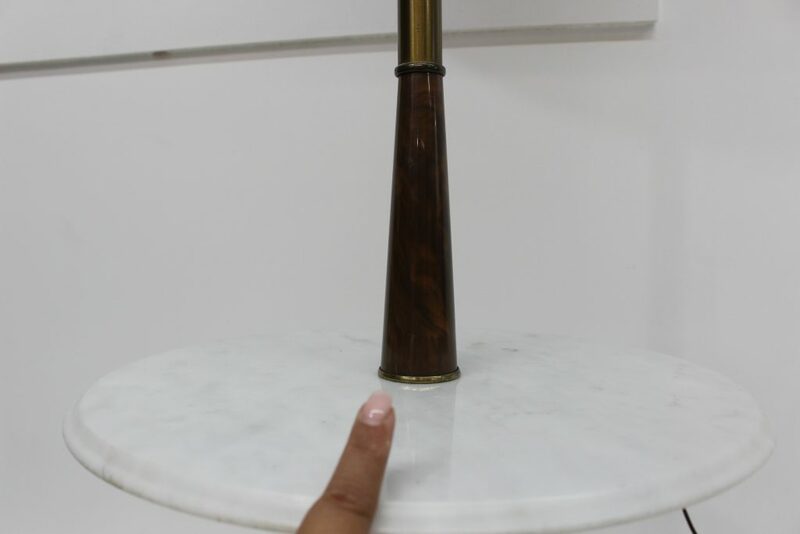 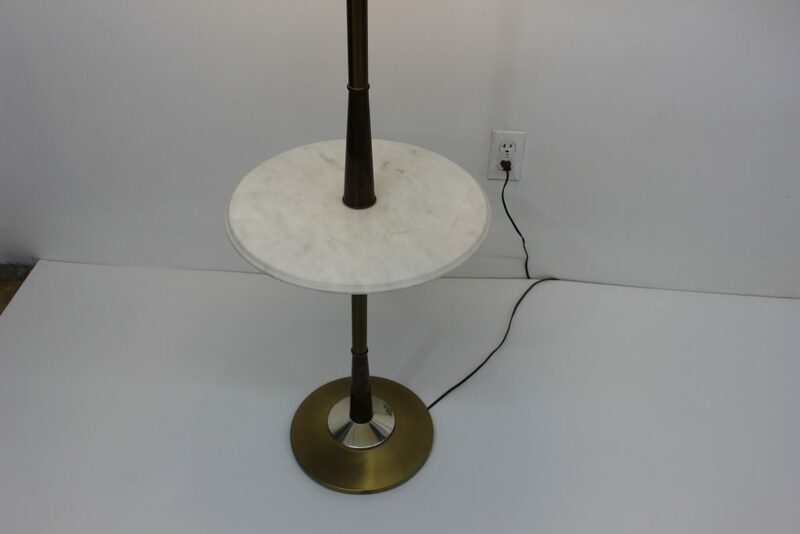 Take a look at this beautiful Laurel style floor lamp, the base is made of metal, the pole is metal with what looks like bakelite accents on top of the marble table and the base. 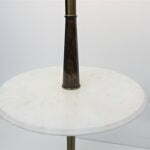 The roundtable in the middle at the perfect height to be next to a chair or sofa is made of marble. 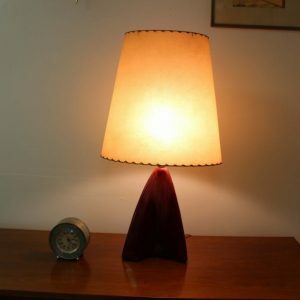 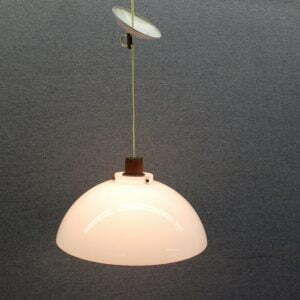 The shade completes this beautiful lamp. 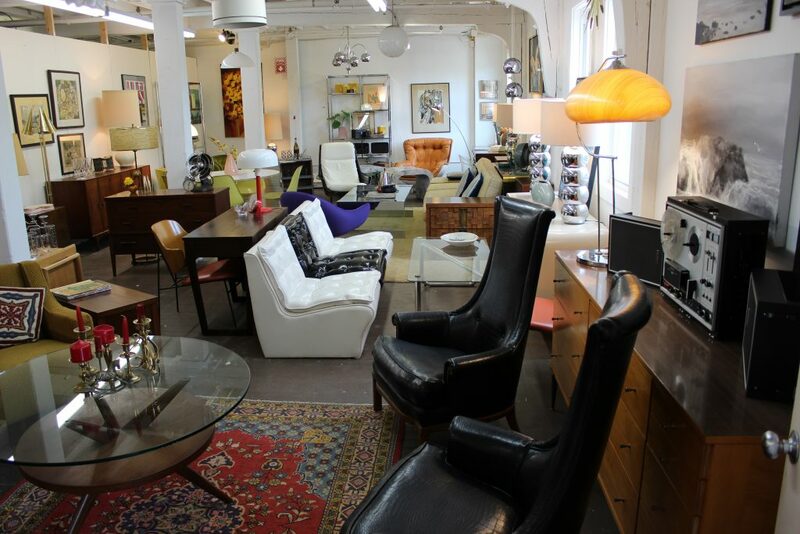 It is in near mint condition, only one owner since 1968 and now they can be yours. 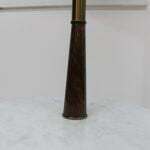 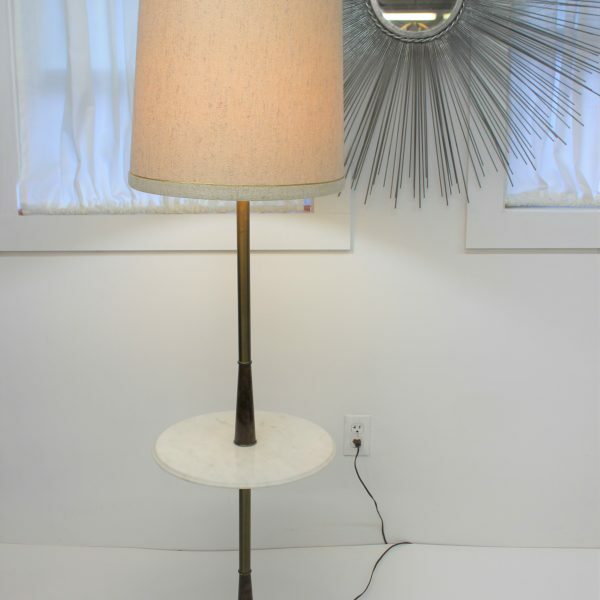 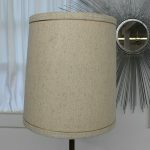 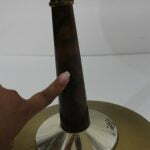 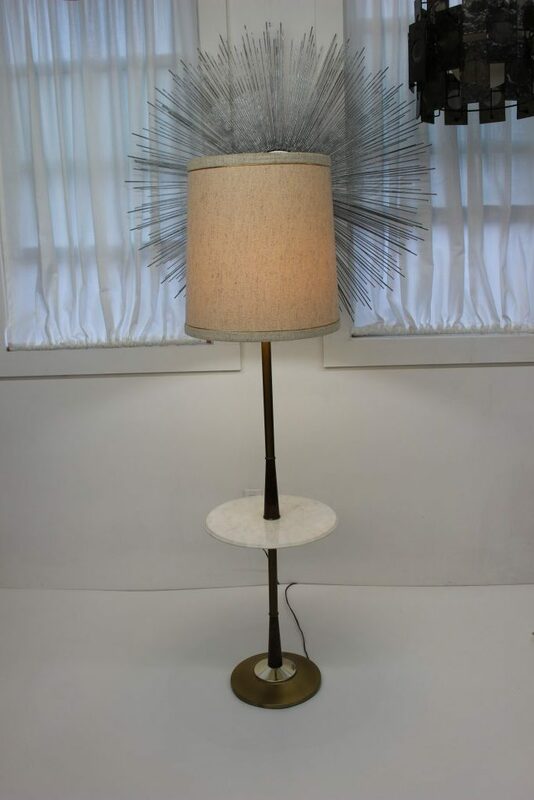 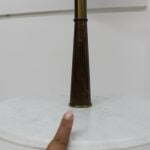 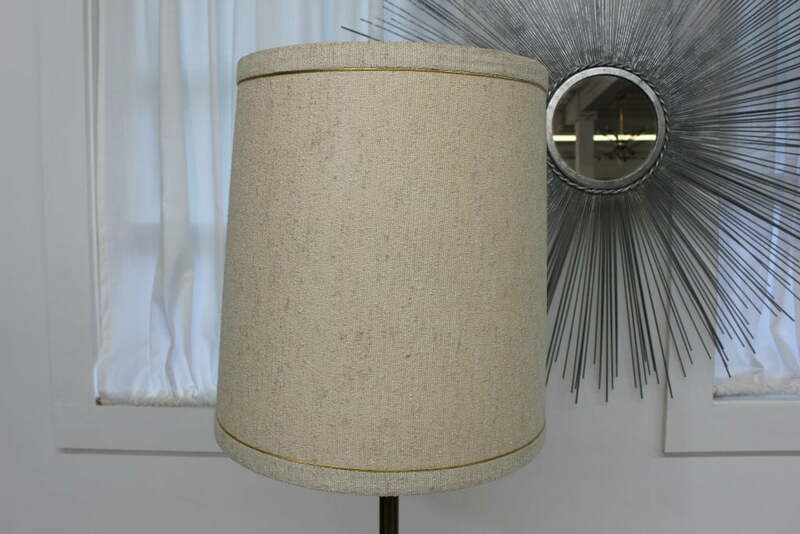 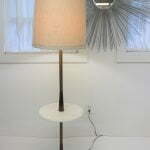 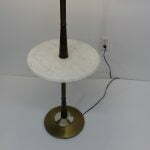 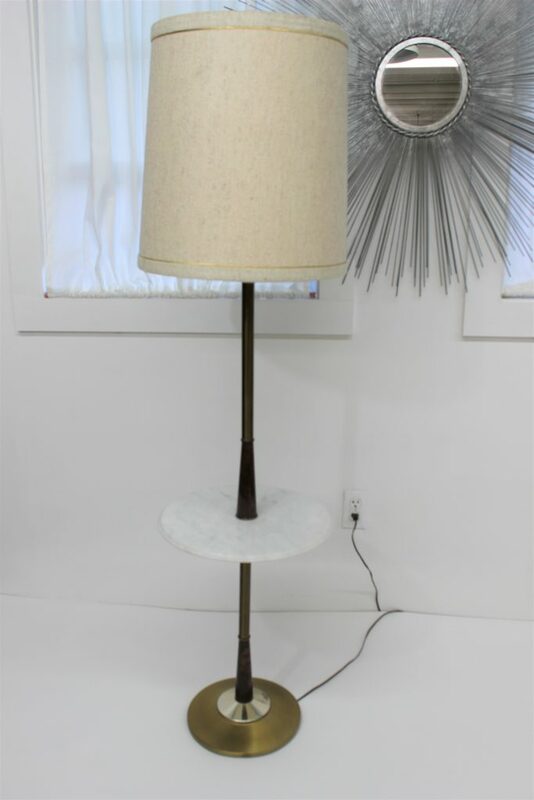 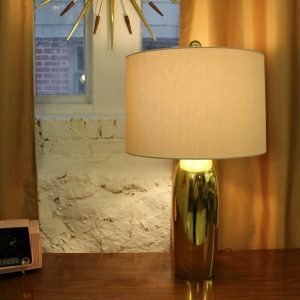 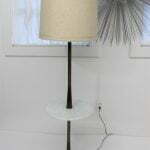 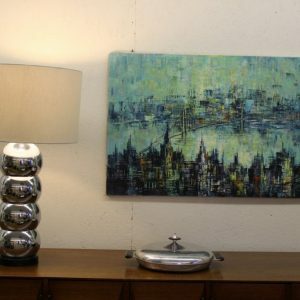 This amazing floor lamp measures 59″ high and the base is 12″ diameter.